Nimali Fernando, MD, MPH is a pediatrician practicing in Fredericksburg, VA and founder of the website doctoryum.org and The Doctor Yum Project. Use leftovers. Plan your dinner meals so that you can make extra and then put some aside for lunch the next day. The Dr. Yum Menu Planner is terrific for this too! 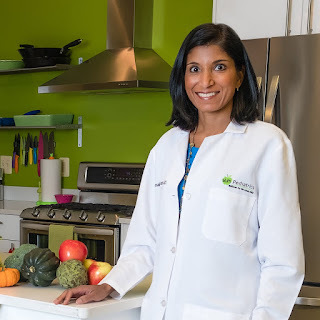 About The Doctor Yum Project: Founded by Dr. Nimali Fernando, The Doctor Yum Project is a nonprofit organization that is dedicated to transforming the lives of families and communities by providing an understanding of the connection between food and overall health, as well as empowering them with the tools to live a healthy life. They offer a variety of community programs to help with those efforts. They are located in Fredericksburg, Virginia, and feature an instructional kitchen and teaching garden for holding classes. To learn more, visit the site at: www.doctoryum.org.